Register Online and Save [walk-in Price is +$5]. Join CLA before registration & save with Member Prices! ADMISSION PRICE INCLUDES FREE BOOK! In an economy where 40,000 new law school graduates each year compete for fewer clients as more self-help legal services come online, your law firm’s online presence is no longer an optional tool that can be treated as an afterthought of your business development plan. However, the communication of legal information through your website, email and social media carry with it liability risks and restrictions under the Rules of Professional Conduct. Your website can be your primary avenue for potential clients to find you, learn about your services, and decide whether to contact you. But is your website up to the task and can you close the online deal safely and efficiently? 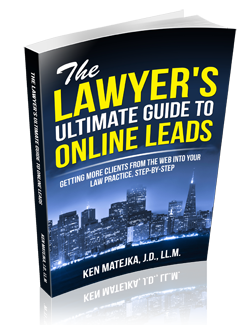 Join us as California attorney and #1 best-selling author, Ken Matejka (JD, LL.M), discusses the elements of a successful law firm website . The session will include tips for what you can do in-house to improve your site and how you can make it more visible in Google, while keeping all of your online properties in compliance with the guidelines and restrictions of the California Rules of Professional Conduct and related case law. This session will include a look at Google Analytics data to illustrate what information about website visitors is useful in determining whether a site is sufficiently visible on the web and whether it is effective in converting website visitors into client inquiries. 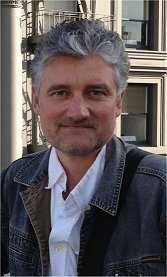 Ken Matejka, J.D., LL.M, is a California attorney and a former member of the American Bar Association's Standing Committee on Lawyer Referral and Information Services. He is author of the #1 bestseller "The Lawyer's Ultimate Guide to Online Leads." For 17 years, he worked at the Lawyer Referral and Information Service of the Bar Association of San Francisco and in 2006 founded an online visibility company dedicated exclusively to helping lawyers and bar associations get more clients through their web presence. generation for attorneys, and related ethics issues. His company, Matejka Marketing, Inc., currently provides online marketing services to 24 bar associations and a large number of law firms nationwide.